We supply and fit alternators in the North West area. We can in a lot of cases offer same day alternator fitting service, and also offer next day fitting services on all vehicle alternator fitting as we hold a large stock of new alternators in many of our branches in the North West. Your vehicle's alternator is an extremely important component of your vehicle's day to day running and starting. An alternator is a generator of electric power in your vehicle and is a major component of your vehicle's charging system. Whenever your engine is running, the alternator charges your battery and supplies additional electric power for the vehicle's electrical systems. An alternator is attached to the engine and is driven by a drive belt also known as an AUX belt or to the older generation, a fan belt. An alternator is a maintenance-free unit. On average, an alternator can last for 3-8 years without any repairs. 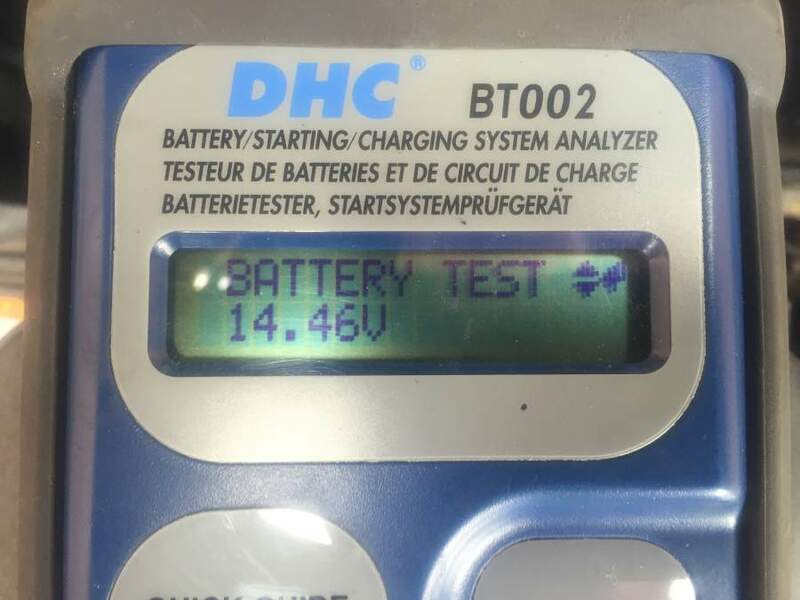 However, when an alternator fails the vehicle will run off battery power which will result in the battery failing as soon as the battery charge is depleted. This often occurs without warning and can even happen at high motorway speeds. If you are having an issue with your vehicle, it is always best to get it checked as soon as you can! Fastlane Autocare is your solution for alternators, starter motors, and batteries. Established over 10 years ago, Fastlane Autocare offers mobile mechanic services, 24 hours a day, 7 days a week. We take pride in each and every job and ensure 100% customer service with complete aftercare. We provide you with the opportunity to buy the parts that you need for your vehicle in an instant with competitive prices. When you buy your alternators and starter motors from us, you receive a standard one-year warranty and you can choose to benefit from further cover by choosing a two-year warranty. As Fastlane Autocare is an independent vehicle specialist business, you can expect to pay less than the price set by the main dealers (up to 45% less in most cases) whilst still receiving a specialist service; benefiting from the expertise and knowledge of a professional and dedicated team. How long will it take for my alternator to be replaced? We stock 95% of alternators commonly used on vehicles and in most cases, we can offer you the very same day fitting. If your vehicle falls into the small percentage of alternators we do not stock, then we can order it for next day. However, it is necessary to be aware that this service is only applicable if your existing alternator has not caused damage (i, e overloaded any circuits or shorted out wiring). 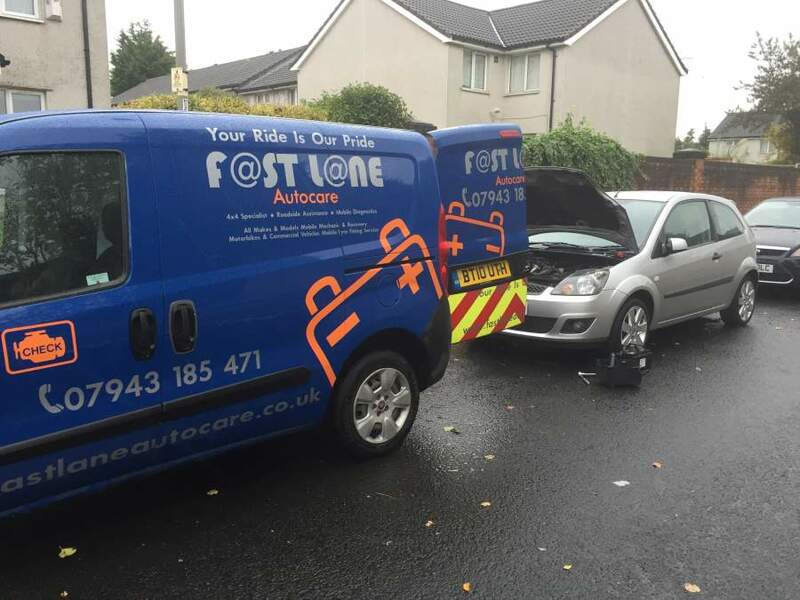 Here at Fastlane Autocare, we try our very best to guarantee a fast and efficient repair service. This is just one of the many vehicles we have repaired in the recent months. This vehicle had an alternator failure and after we recovered the vehicle home, we had a new alternator fitted the very same day! What if I'm unsure about what is causing my vehicle's issue? If you're uncertain about what the problem is with your vehicle, don't worry as we have the latest brand specific software and technology in fault finding and diagnostic equipment. This assists in identifying the exact problem and with our many years of experience, Fastlane Autocare is the solution to all of your vehicle's issues! We have Branches all over the North West area. Each of our branches is equipped to deal with any alternator repairs you may need for your car, van, truck, motorhome, plant Vehicle, camper or even boat. Regardless of your vehicle type, one of our branches will be ready to help with the supply and fitting of your new alternator! We have branches in Stockport, Congleton, Trafford, Manchester, Liverpool, Southport, Runcorn, Atherton, Wirral, Chester, Lymm, Cheshire, Radcliffe, Helsby, Leyland, Oldham, Queensferry, Skelmersdale, Swinton, Trafford, Walkden, Deeside, Denton, Widnes, Hale, Chorley, Bury, Bolton, Warrington, Wigan and Widnes. In fact, any location in the whole of the North West area of England. Wherever you are, at home, work or even at the roadside, we can replace your alternator 7 days a week. Call us now on: 07943185471. A member of the Fastlane Autocare team is available 24 hours a day, 7 days a week!